Where might she be from? 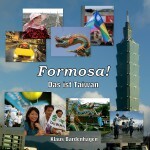 Every „Westerner“ in Taiwan probably knows what it means to be treated as a first-class foreigner. So we (I am writing this from my personal POV) behave clumsy most of the time, do not have 5000 years of culture and our languages are not as sophisticated as Chinese, but hey – white skin means we all speak English perfectly, make tons of money and look like Hollywood stars, doesn’t it? So despite widespread latent scepticism towards foreigners, we get by quite well. But there is another group of foreigners in Taiwan that far outnumbers us. Only we tend not to notice them so much. Those are the foreign workers from Taiwan’s poor neighbouring countries, brought in to work in factories, construction, as maids and caregivers. Basically, they are here to do the jobs the Taiwanese are not willing to do themselves, at least not for the wages being paid. According to the Taiwan’s official government statistics (Update: numbers for 2014), there are currently more than 550,000 foreign workers in Taiwan. About half of them work in manufacturing and construction, the other half does social work, so the gender ratio is about balanced. Most are Indonesians, Vietnamese, Filipinos or Thai. This number does not include the „foreign wives“, so the actual number of foreigners from poorer countries looking for a brighter future in Taiwan is even greater. Now it would be nice if Taiwan’s society, known for its overall kindness, would extend their hospitality to each and every one who choses to come here to make a living, wouldn’t it? Unfortunately, this is not always the case. Even students who appear to be open-minded on such controversial issues as abolition of the death penalty or gender equality tend to react angrily when I suggest that too many Taiwanese employers routinely look down upon or flagrantly mistreat workers from Asian countries such as the Philippines, Vietnam, and Indonesia. Issues that touch on the treatment of laborers belong in an ethics course as examples (often glaringly obvious) of behavior that offends principles like the dignity of the human person, fairness, and respect. If, as I once read, we are to judge a society’s level of civilization by how it treats its most vulnerable members, then Taiwan is failing spectacularly. Taiwan’s migrant workers should be given medals and awards for what they have contributed to society here, not further reductions in barely subsistence-level wages — but then such actions show us just how far the present government is prepared to stoop to pay back its corporate masters. There are actually organizations in Taiwan trying to make a difference, first and foremost the Taiwan International Workers‘ Association (TIWA) that is organizing demonstrations and press conferences and advocating foreign workers‘ rights. TIWA chairperson Ku Yu-ling (顧玉玲) said the root of the problem lay in the government repeatedly delaying including migrant caregivers under the Labor Standards Act (勞動基準法) to protect their basic working rights. As a result, caregivers are often forced to put up with poor working conditions, such as doing things that are against their religious beliefs or working for long periods of time with no days off or adequate time to rest. There are two reasons I am writing on this subject now. First, I just returned from a photo exhibition TIWA put up that depicts scenes from foreign workers‘ life in Taiwan. I had lots of time to take a good look at the photos – I was the only one there. Little wonder, since the exhibition is tucked away in a basement corner of an expensive shopping mall near Taipei 101. So I want to encourage everyone to go and see this exhibition. It’s only on display until May 31, and you find it on the B2 floor of the Shinkong Mitsukoshi in Xinyi, in the A9-building. There also seem to be photos on display in Ximen’s Cinema Park (which is currently being revitalized as a public art space), but I have not been there yet. More information on the exhibitions (in Chinese) on the TIWA website. The other reason is that there is a fine movie playing right now called „Pinoy Sunday“ that I cannot recommend highly enough. It focusses on two Philippino workers in Taipei on their day off. While the story superficially is about their attempts to bring a red sofa, discarded by a rich Taiwanese couple, back to their factory dorm, there are lots more layers to it. You get to se the microcosm of „Little Manila“ on Zhongshan North Rd., where the workers spend their free Sundays. And while racism or discrimination is not at the story’s center, there are enough awkward situations and remarks to make you understand that being a foreign worker in Taiwan is probably not an altogether pleasant experience. There is a fine review of „Pinoy Sunday“ in the Taipei Times, and a letter by Dan Bloom who argues it deserves an Oscar nomination. Most important, there is the official website that tells you where and when you can see it. And you really should hurry, because it’s no blockbuster, and right now there are only three cinemas left screening it (two in Taipei, one in Tainan). Go see the exhibition, watch the movie, and keep in mind: Most foreigners in Taiwan are too busy working in factories, building apartment houses or MRT lines or caring for old people to idle away their time writing or reading blogs like this. They really deserve our sympathy, solidarity and, where possible, support. How can we do this? Suggestions are welcome. Thanks for posting this, Klaus. Just as I say „Hello“ to many of the other Westerners I encounter in public, I try to say „Hello“ to the foreigners who work here as caregivers, laborers, etc. More Westerners should at least take that small step towards knowing and understanding their situation. I agree with you that this is a very important topic for everyone trying to understand the situation in Taiwan. As every country with a certain financial wealth Taiwan also has to think about how to deal with economic migration in terms more diverse than just protecting its own workforce from international competition..
Good post Klaus, you show the side not seen in travelogues, etc. They clearly make their contribution. Excellent post Klaus. I’ve seen a lot of mistreatment of migrant workers both working as domestic helpers and in the industrial areas near where I live. They do very physically and emotionally demanding jobs and receive a fraction of what they should. I hope Taiwan can pass and enforce legislation for their protection. This is a goo portrait of Taiwanese workers. I hope you can do this a lot of times. You should make your blog in English too so that more people can read your experience. wirklich schön, einen so guten Artikel von Dir, auf Englisch und mit so vielen Reaktionen darauf, zu lesen! Freut mich für Dich! Kommst Du während Deines Heimaturlaubes irgendwann im Osten vorbei? Sag in jedem Fall Bescheid! Zu Deinem Kommentar auf dem verlinkten Blogeintrag zu Fremden…feindlichkeit (?) in Taiwan hat Lung Yingtai mal etwas Ähnliches geschrieben, das in Le Monde Diplomatque 1/2007 veröffentlicht wurde. Ich finde den Artikel („Waisenkind der Welt: Taiwan und die Menschenrechte“) leider nicht online, aber ähnliche Aussagen finden sich in diesem TT-Artikel über sie: http://www.taipeitimes.com/News/taiwan/archives/2006/12/10/2003339860. „Die internationale Gemeinschaft ist sich vielleicht der politischen Isolation Taiwans bewusst, aber versteht deren Tiefe und Breite nicht. Zum Beispiel, wenn sogar in die Kunst der Taiwaner eingeschnitten wird. So sind bei Venedigs Biennale taiwanische Künstler nicht auf dem Veranstaltungsgelände zugelassen, sondern müssen außerhalb Flächen selbst anmieten. […] Die 35 Jahre der Isolation und Ächtung haben den Taiwanern ein Gefühl vermittelt, dass sie vom globalen Dorf verlassen und zurückgewiesen wurden. Laut einer Umfrage von 2005 denken 80% der befragten Tawianer, dass Taiwan „international ein sehr niedriges Standing“ hat. 80% wissen aber auch nicht, wo das UN-Hauptquartier ist, in welcher Stadt der Nobelpreis verliehen wird [sic] und wo der größte Regenwald ist. 60% Wissen nicht, welche Währung Deutschland benutzt und auf welchem Kontinent Athen liegt. Die Umfrageergebnisse stammen aus Taipeh, wo 45% der Bevölkerung mindestens einen College-Abschluss haben, im Vergleich zu nur 13% in Hongkong. Doch der Mangel an Wissen über das globale Dorf resultiert aus dreieinhalb Jahrzehnten Ächtung. Dass den Menschen in Taiwan in Taiwan das Recht auf ein soziales und kulturelles Leben in der Weltgemeinschaft verwehrt wird, verstößt gegen die Allgemeine Erklärung der Menschenrechte der Vereinten Nationen. Aber die Weltgemeinschaft scheint gleichgültig. hi Klaus, thanks for your article. I myself is homebase caretaker. I am taking care of 2 oldies, duty on call and cooking for 3 families(oldies son, daughter, daughter in law,grand children eating dinner everyday at home)and have a once a month off. Hi Kamila, thank you very much for your comment! I truly hope that the situation of caretakes will improve. I am currently in Germany, but will get in touch when I’m back in Taiwan. another issue is that our salary never get raise since 1997 if I’m not mistaken. it’s the lowest 15840 every month. since we don’t have a day off, we get additional 2112 nt. enough for our brokers fee which is 1800. and speaking of the brokers, we are paying them every month for doing nothing. service charge for no service at all. well for me why i should i pay the broker, I can my medical exam alone. we can do it on our own. so we don’t need them.